DO I NEED A TRIAL LAWYER FOR MY MIAMI CAR ACCIDENT? If you were injured in a car accident in South Florida, then you need a lawyer. But what kind of lawyer should you get? In personal injury, there are basically three types of lawyers: claim attorneys, litigators, and trial lawyers. Claim attorneys can handle your case up to settlement or the filing of a lawsuit. They refer unsettled cases to litigators or trial attorneys. 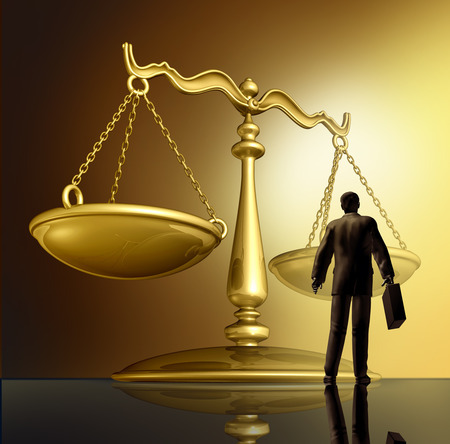 Litigators file lawsuits and work to settle cases but do not go to trial. They will refer the case to a trial attorney if they cannot settle a case. Trial attorneys represent you before a jury and, hopefully, achieve the best result possible. Generally, claim attorneys do not litigate and litigators don’t try cases. On the other hand, trial lawyers will handle your case from the beginning through settlement or trial. Generally, the referral of a personal injury case does not change or increase the amount of the attorney’s fee in accordance with the Florida Bar Rules of Professional Conduct. Although statistically most car accident cases do not go to trial, does it matter if your lawyer is a trial attorney? It should because insurance companies know what type of lawyer is handling your case. If your attorney is a claim attorney, then they know the claim will likely settle before a lawsuit is filed. Insurance companies know litigators will settle before trial. But most importantly, these insurance companies know who the trial lawyers are in your community. Insurance companies manage and control risks as much as possible. That is how they decide the amount to charge you for your premiums. The higher the risk, the more you pay. To an insurance company a jury trial is an unmanageable risk because it is unpredictable. The Bureau of Justice Statistics, a component of the Office of Justice Programs in the U.S. Department of Justice, analyzed 26,948 civil trials in 2005 and found that plaintiffs won more than half (56%) of all general civil trials. The median award among all plaintiffs was $28,000 and approximately 4% of all winning plaintiffs won $1,000,000 or more. Those statistics give you an idea of why insurance companies prefer to avoid trial. Your choice of a lawyer matters to an insurance company so it should be important to you as well. In deciding which lawyer you should hire you are not only allowed but encouraged to ask about the lawyer’s skills and experience. Ask about their results and whether they will take your case to trial if necessary. Do other attorneys or litigators refer cases to them to take to trial? Your choice of an attorney is a critical one, so you should be completely comfortable with your ultimate decision.